Most artists and potters want some sort of visual variegation in their glazes. 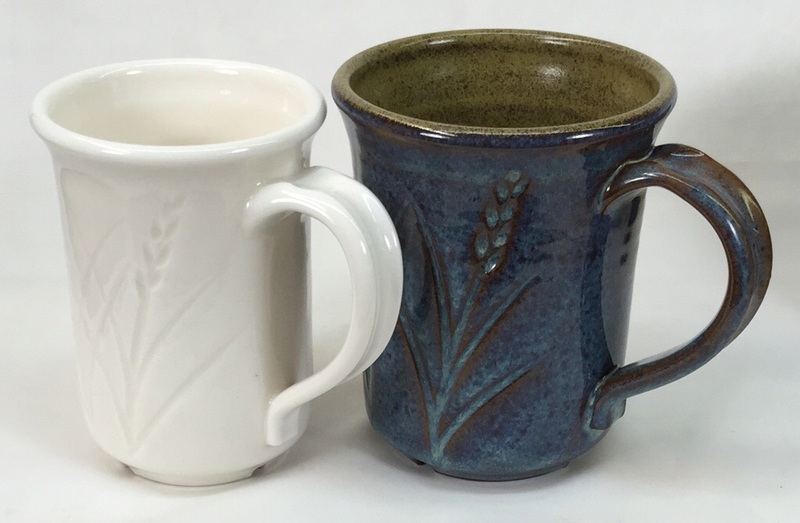 The mug on the right demonstrates several types. Opacity variation with thickness: The outer blue varies (breaks) to brown on the edges of contours where the glaze layer is thinner. Phase changes: The rutile blue color swirls within because of phase changes within the glass (zones of differing chemistry). Crystallization: The inside glaze is normally a clear amber transparent, but because these were slow cooling in the firing, iron in the glass has crystallized on the surface. Clay color: The mugs are made from a brown clay, the iron within it is bleeding into the blue and amplifying color change on thin sections.